On Thursday, July 20th, Chester Bennington, lead singer of legendary band Linkin Park, was found dead in a private Palos Verdes Estates home. The cause of death was ruled a suicide, and those of us who were shaped even partially by his band’s music in the late 90s and early aughts feel a sorrow all too familiar, and still a bit fresh. For many of us, Chester Bennington was the raw voice behind our early interrogations into mental health — and his death, much like Chris Cornell’s, hit home in a very real, very visceral way. The first time I heard Linkin Park’s “In the End” in 2001, I was immediately struck with a clarity for which I was wholly unprepared. I was 15, in high school, and part of an educational program that had separated me from the few good childhood friendships I’d worked so hard to maintain. This newer stage was an utter catastrophe — everything was too new, too loud, too confusing, and moving too quickly. I would stare at my ceiling late at night, worried that I would never find the footing necessary to keep up with it all. At the time, I couldn’t really articulate these feelings to anyone, so I was left to try discerning these emotions on my own. That’s a tall damn order for anyone, but especially for a teenager. I returned home from school one afternoon, flipped the television to MTV, and was instantly introduced to a sound that I simultaneously couldn’t quite place and couldn’t ignore. I’d never heard anything like Linkin Park — this rebellious alliance between angst-laden rock and meticulously constructed rap. All I knew was their music had anchored itself in the chaos that I was experiencing at the time – the inexplicable sadness, the sense of inadequacy, the anger that came with feeling unheard even though I didn’t quite possess the language to say what I needed to say. So every afternoon for the next month, I rushed home, tuned into MTV, and waited to hear the band that I found so affirming. 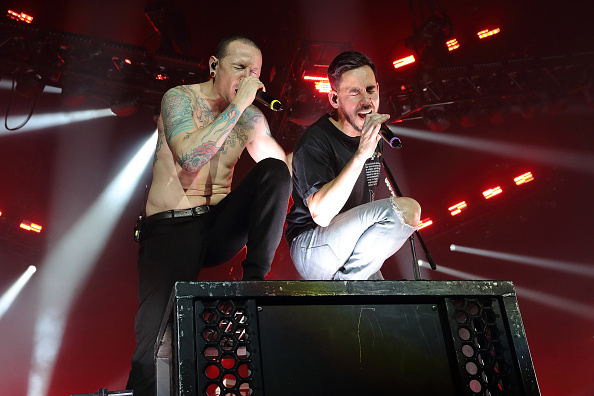 Mike Shinoda would fastidiously rhyme his frustration, Chester would beautifully wail his pain, and I would be at peace, knowing that those two worlds – the reason and the chaos — could coexist. As I heard more of their catalog with “Papercut,” “Crawling,” and more, I became more certain that these musicians understood my depression and anxiety, even when I didn’t necessarily understand it myself. They took the rollercoaster that I felt – the one that was so often written off as hormonal teenage drama – and performed it over a booming beat. When Christmas neared, my mother asked me what album I wanted waiting for me under the tree. I began to tell her that I wanted Linkin Park’s Hybrid Theory — but then something made me stop, and blurt out a totally different CD I can’t even remember. 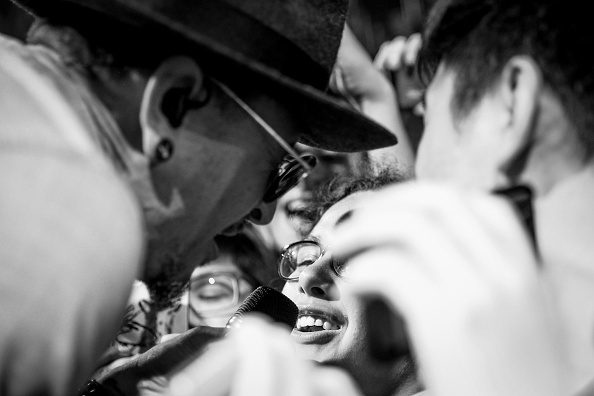 It wasn’t that I wanted to keep my love of Linkin Park a secret from her — it was that I felt like they had given me so much. 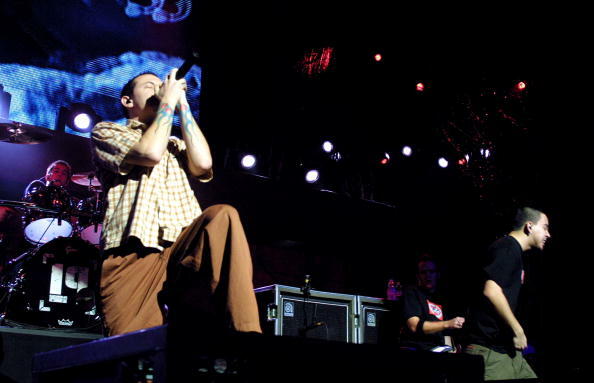 Mike and Chester, especially, had addressed a part of me that at times felt so intangible, it scared me. 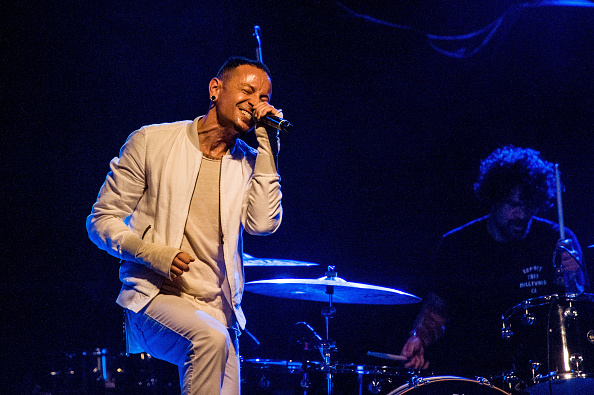 Linkin Park’s music served as a confirmation that those of us who battled with mental health were not alone, and I wanted to thank them in a way that felt personal. So I quietly stashed away my birthday money and explained to my mom, without too much detail, that I needed to buy this album on my own, with my own money. She suggested that we go to the mall that weekend, and that exchange felt like a true mark of ownership over both the album and my own mental health journey. It was also the first album I’d ever purchased myself. Mom allowed me to blast Hybrid Theory in the family car on our way home. To my surprise, I witnessed her nod her head in time to the beat and listen with an interest I never expected from her. Her tacit approval meant so much to me in that moment, and gave me hope that, one day, I could be understood in the same fashion. It was yet another turning point that I wish I could have thanked him for. Today, my heartbreak is only made bearable by an iTunes mix I thankfully made a while ago honoring Chester Bennington and Linkin Park’s contribution to my growth. I immerse myself in it whenever my mental state surpasses language, and the music helps me find the solace that I discovered sixteen years ago. Today, it plays on as I quietly, lovingly say my goodbyes. Peace to you, Chester. And thank you.